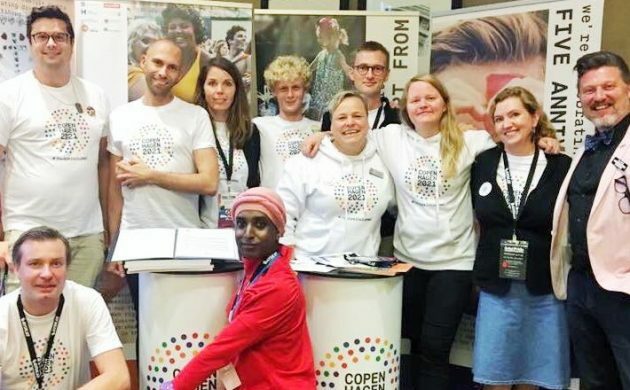 Copenhagen will host WorldPride 2021, it was announced today following a vote at the AGM of InterPride involving over 200 delegates. It won two-thirds of the vote, seeing off the challenge of US city Fort Lauderdale. The biennial event is the world’s largest LGBT festival and is expected to attract hundreds of thousands of visitors. New York is set to host the event in 2019, and previous hosting cities include Madrid (2017), London, Rome, Toronto and Jerusalem. “We’re ecstatic at the prospect of hosting WorldPride,” said Lars Christian Østergreen, the managing director at Happy Copenhagen, according to the bid’s official website. Copenhagen is also bidding to host the EuroGames in 2021, with plans to combine it with WorldPride into one mega-event, ‘Copenhagen 2021’, which will include a human rights conference. “Uniting WorldPride and EuroGames in the same city will be historic,” enthused Østergreen. The bid had the full support of the Danish government as well as the city of Malmö, which is expected to play a part in co-hosting. In April it was reported that Malmö had contributed 800,000 kroner to the bid, but that the Swedish city’s exact role in the event would only be illuminated if Copenhagen was chosen to host. “I am sure that the organisers will deliver a spectacular event, and we will do our best to support them in doing so,” said Karen Ellemann, the equality minister, in an official statement. The European Gay & Lesbian Sport Federation will decide on the host city of EuroGames 2021 in March 2018. Copenhagen last held the event in 2003. Copenhagen has not hosted a major LGBT event since the 2009 World Outgames. 2021 will mark the 25th anniversary of Copenhagen Pride.